A 15 minute stroll between Baratia Catholic Church and Italian Catholic Church in the center of Bucharest will disclose a modern city of ten story buildings, western style fast food restaurants; McD's, KFC, and numerous fashionable monuments honoring Romania's long and illustrious history. The immediate impression is that of a flourishing community though that is not the reality. Visible between the rows of smartly dressed shoppers one easily spots the raggedy clad street child and elderly and handicapped beggars holding out an empty hand. In its pre-communist heyday Bucharest Romania was known as “the little Paris of the East”. Today's legacy, however, is far less picturesque. Nearly half of Romania's population have fallen beneath the poverty line. Ten million Romanians can not afford to feed their families which leads directly to the increase of abandoned children and homelessness. Life in Romania is already hard and with a 44% inflation rise last year is only getting harder. 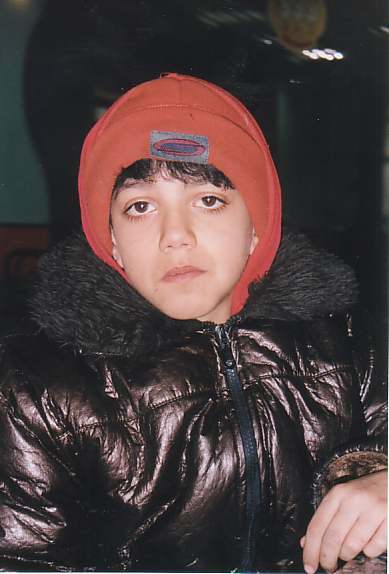 Nine year old Daniel has been living on the street for a year: photo of Daniel. He chose the street over the orphanage where the older boys used to beat him. With an unflinching look he explains how they used to find humor in closing the door onto his fingers. His childhood is already behind him as his days are now spent begging for bread. At night he finds sleep beneath the stairwell of a cold bloc apartment building. 64 year old Eleonora Capitanu no longer receives her pension after having fallen through the system's wide cracks into homelessness. Her days are now spent sitting on the cold floor outside the downtown subway station holding a cardboard sign that explains her predicament. She collects about $1 a day which is just enough to sustain herself and allow her to beg another day... A little further down the street Maria Lucaci stands outside a restaurant door holding out a shaky pale hand. She is 91 years old and ill. She needs to beg, she says, because her $37 a month pension does not cover the cost of her food, medicine and heat. Though Romanian Catholic's makes up just 5% of the population Catholic Charities has been making a major contribution ever since the fall of Communism in 1989 and the return of religious freedoms. However good relations between the Catholic and the country's predominant Orthodox community have never faltered. It was during Pope John Paul II historical 1999 visit that massive crowds filled the squares and parks to hear him speak. During his departure to the airport the streets were lined by cheering Catholic and Orthodox admires. It had been the first visit by a Pope to a predominately Orthodox country in a 1000 years. The program at the social center, located in one of the poorest districts of the city, offers a soup kitchen, meals on wheels program, a laundry service, social club, and an aid program that focuses on keeping families together. “Without the soup kitchen I don't know what I would eat, maybe the newspaper,” confesses 84 year old Ilian Bucurescu who's pension is just $25 a month. A recent government study found that an individual needs at least $50 a month to sustain themselves. The greatest number of street children can be found out by the Bucharest train station. It is here where journalist shot many of the scandalous photographs of these wild eyed children sniffing paint solvents while crawling out of their subterranean shelters in the city sewers. Images like these and headlines proclaiming Romania as “land of the street children” has deeply stigmatized the nation and so much so that many children centers will no longer allow western journalist into their sites fearing a continued promotion of the sickness rather than the cures. Just a few blocks from the station down a narrow side street is Catholic Charities St. John's house. Within the stone walls of this unobtrusive little two story house resides a “family” of former street children. There is a burst of activity inside the wide front door where 11 spirited boys between the ages of eight and 18 share three bedrooms, a kitchen, dining room and play room. After years of displacement and daily unnatural worries these children finally have some stability in their life, security, education and a caring family. Before Daniel came to St. John's house all he could say was “Daniel five years”. He was partially deaf and his arms had been twisted out of joint. St. John's house supplied the surgery to repair his damaged limbs. They enrolled him in school and with the additional help of Catholic Charities' tutors he has greatly improved. But according to Cristina Rusu he has not just improved, “he is the best,” she proudly adds. “Ilie is the most sensitive “ says supervisor Florin Constantin as he shows Ilie's work space which is decorated with his drawings and sculptures, a row of plants, a tank of fish and a ginnea pig underneath the desk which he calls, “little Ilie”. 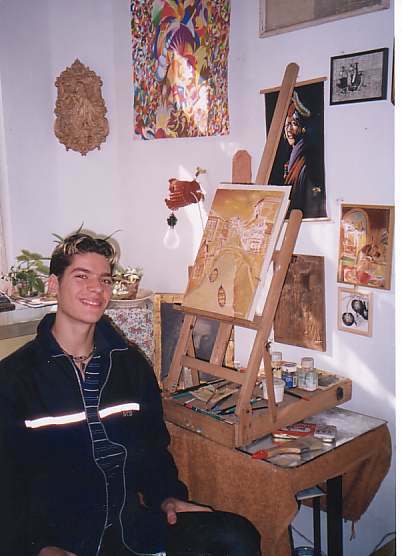 Today he is a top student in the art school and with a promising future: photo of Ilie. Ilie was six years old when his older brother led him to the street. He spent two years living a literal hand to mouth existence, always on guard and protective of that little corner where he made his bed. Before St. John's house he had never seen television or plumbing. “He was puzzled by how water came through the faucets,” says supervisor Ms. Rusu. 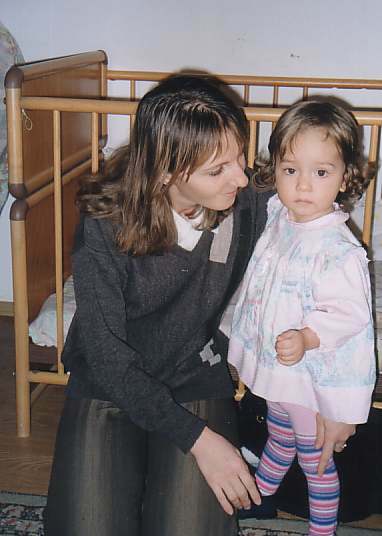 Of the 9000 AIDS patients in Romania today 5,400 are children and which ranks highest amongst pediatric HIV/AIDS cases in all Europe. The majority were infected inside the orphanages - and it was these same institutions that had infected them that were now rejecting them forcing them to live out the rest of their years isolated within the white tile walls of the children's hospitals. Though an immense problem with few solutions and even fewer rewards Catholic Charities found themselves unable to not get involved. Teaming up with the Health Aid Romania organization they purchased four neighborhood homes and moved in a group of children from the hospital. When the public school refused to admit the children Catholic Charities built their own. 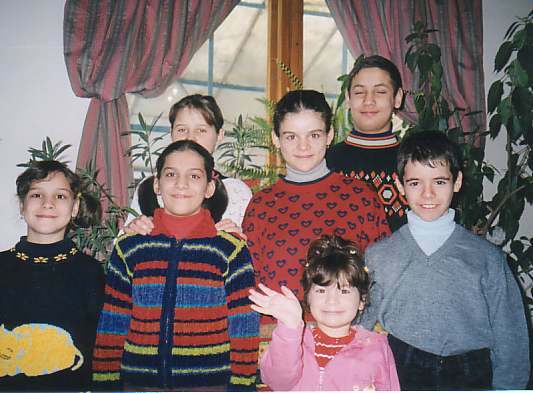 Suddenly seven spirited children burst through the Litsa House front door. It is noon and they are returning from school for their lunch. Seeing a visitor in the house brings added excitement to the children and they are quick to crowd around and greet the new face with hugs and kisses. They wish to show their pleasure through song and line up like a professional chorus with the tallest in back. Led by the angelic voice of Luminita they perform a concert of Christmas songs until the house mother cries out from the dinning room, “come and get it!” Photo of children of Litsa House. It is not a sick house - but rather full of life. It is a happy house, a house of love. It was in this program where the house mother and father first met and fell in love. A few blocks down the street at the Roxana House lives Nicoletta, an 18 month cherub. “When she's in bed with all the dolls around her you sometimes don't know which one is her,” says Ms. Petrescu. “Everyone loves her. You should see the kids, they fight to see who can come and do something for Nicoletta.” Photo of Ms. Persinaru and Nicoletta. Fana, Robert and Maria are found upstairs sitting around a little table. Maria, who is just ten is proud to say that she can speak English and then prove it by counting up to 20. Having had such unrewarding lives they are easily pleased. They are quick to hold your hand and feel the warmth of human touch.